Our Doctors are certified and highly trained in every aspect of eye care. Whether it is an annual eye exam or if you have a medical problem with your eye, we can take care of you! Call us at 404-853-5008 to make an appointment today! Dr. Divya Bhakta received her Bachelor of Science degree in Biology at The University of Georgia. She earned her Doctorate of Optometry from The University of Alabama at Birmingham School of Optometry, where she was a member of Beta Sigma Kappa International Optometric Honor Society. 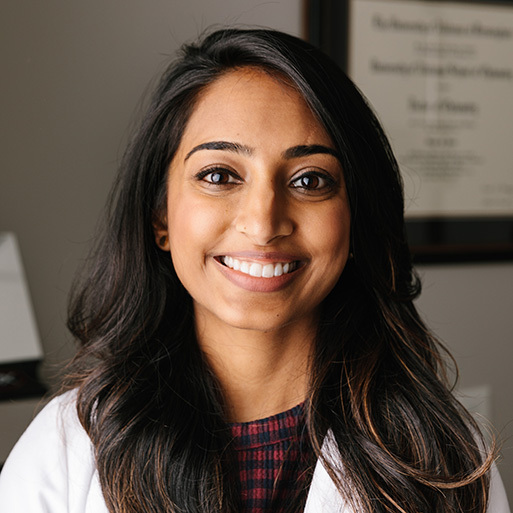 Dr. Bhakta has received excellent training from her mentors and has specialized training in contact lenses, low vision rehabilitation, pediatrics, refractive and cataract surgery co-management, and ocular disease. She has also participated in various community service activities, and has provided free vision care for low-income patients. She is currently an active member of the American Optometric Association as well as the Georgia Optometric Association. In her spare time, Dr. Bhakta enjoys traveling, photography, cooking, and spending time with her husband, family, and friends. She looks forward to providing you and your family with comprehensive vision care. Dr. Virginia Martin received her Bachelor of Science degree in Biochemistry from Western Kentucky University. She earned her Doctorate of Optometry from the University of Alabama at Birmingham School of Optometry (UABSO) where she was a member of Beta Sigma Kappa International Optometric Honors Society and Gold Key International Optometric Leadership Society. Dr. Martin received well rounded training at UABSO with emphasis on fitting contact lenses, dry eye treatment, co-management of cataract and refractive surgery patients, and ocular disease. Dr. Martin went on to complete a residency in primary eye care and ocular disease at the Veteran's Health Care System of the Ozarks in Fayetteville, Arkansas where she had further training treating and co-managing patients with diabetic eye disease, dry eye syndrome, glaucoma, cataracts, low vision, and macular degeneration. She is currently an active member of the American Optometric Association and the Georgia Optometric Association. 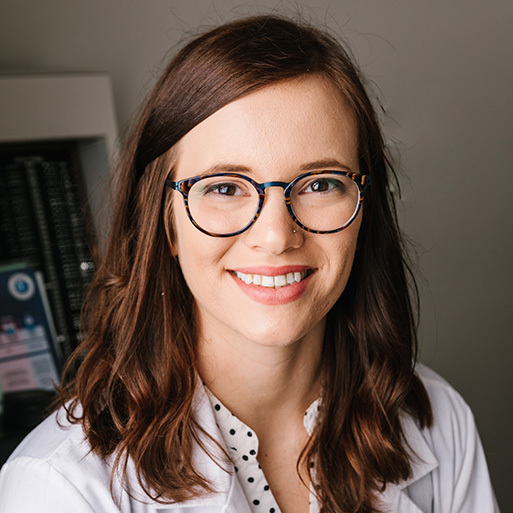 In her free time Dr. Martin enjoys biking, rock climbing, traveling, playing the piano, and spending time with her fiance, family, friends, and pets.